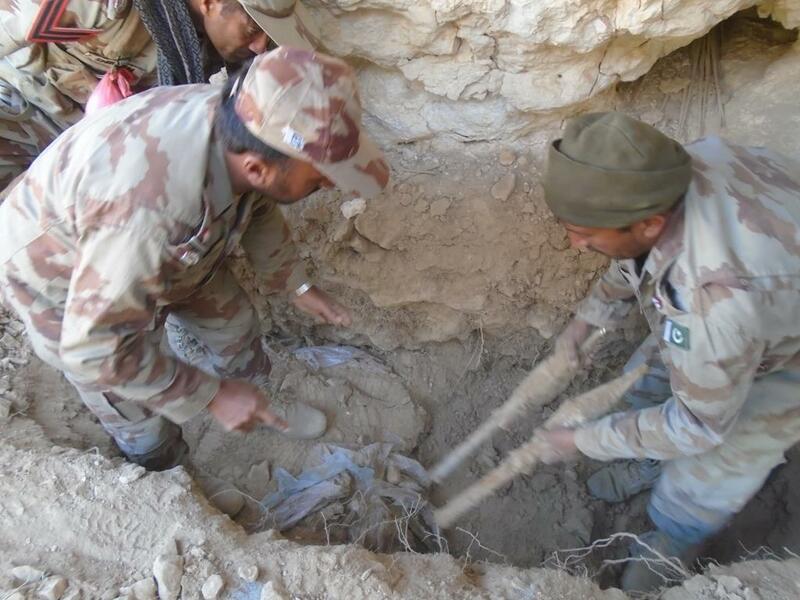 QUETTA: The personnel of Frontier Corps (FC) with the assistance of intelligence agencies recovered huge cache of arms and ammunition hidden at the hideout of proscribed Balochistan Liberation Army (BLA) in Kahan, the Inter Services Public Relations said Sunday. The statement issued by the ISPR, military media wing, the action was carried out in Peshi area of Kahan. It added that around 20 rockets, 14 fuses 70 RPG (Rocket-Propelled Grenade) shell, missile-launchers, 12 rocket fuses, mortar bombs, five bundle-detonating cords, thousands of rounds of different types, and various destructive materials were seized during the action. The action was conducted in the supervision of Major General Nadeem Anjum , Inspector General (IG) FC , himself.